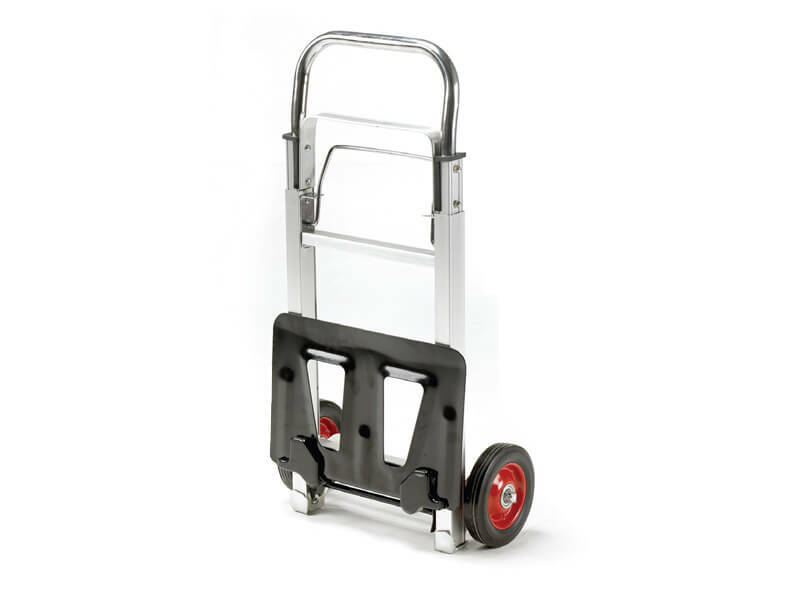 Capable of carrying 90kg whilst weighing just 9.8kg allows this truck to be perfect in any office environment. This brilliant sack truck folds away to just 740(H) x 400(W) x 180(D) mm. It's non-marking wheels allow it to work well on any surface, without worrying it’s owner about cleaning up after it. The design of a folding sack truck allows a user to easily store it away after use, reducing clutter and using limited storage space. This sack truck can be used in any working environments, however it would fit best in an office where space can be limited and load capacities are not too heavy. Anybody could use this product because of its simplicity and ease to use. Handle extends at the push of a lever. The footplate measures 355(W) x 240(D) mm and the weight is 9.8kg, with a wheel diameter of 150mm. 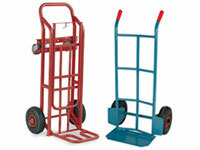 This product may also be referred to as a sack barrow, hand truck, or sack trolley.